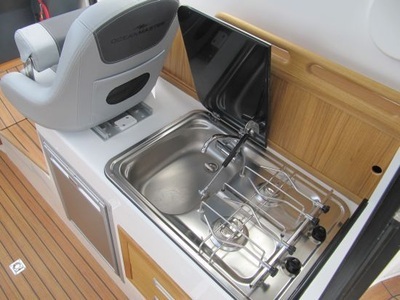 The Oceanmaster 760 HTs is an affordable all weather offshore sports fisher with family day boat amenities. 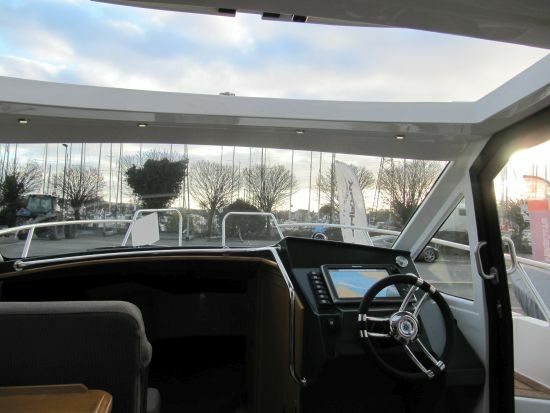 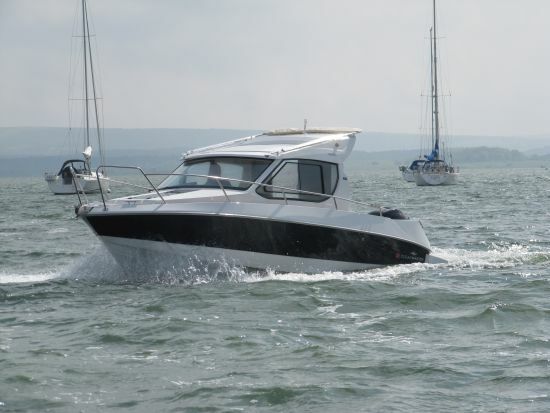 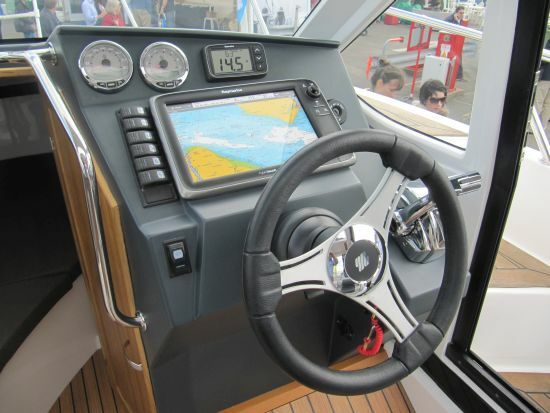 As an enclosed pilot house the 760HTs is a comfortable cruiser whatever the weather. 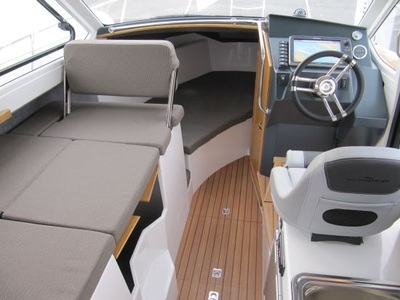 She features a large walk in cabin with double berth sleeps two. 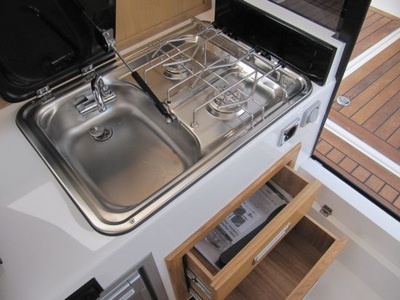 Separate heads with shower plus separate wardrobe plus clever dinette featuring fridge, gas stove and sink plus additional storage. 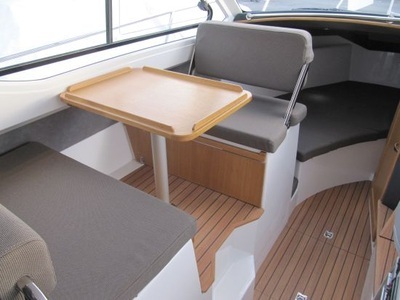 Convertible dining area, seating for 4 plus an additional berth that is ideal for additional storage or occasional over-nighting. 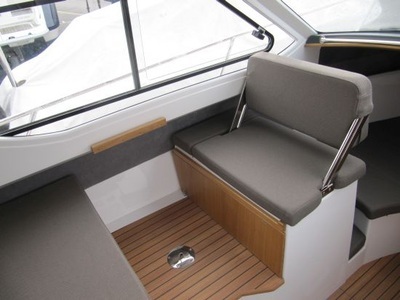 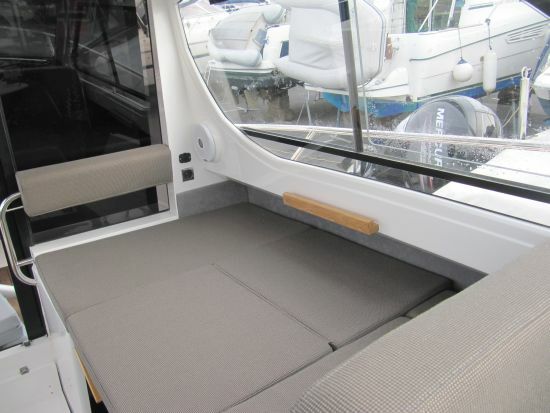 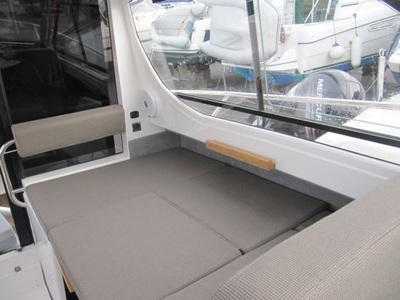 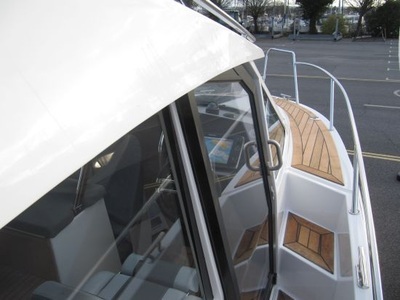 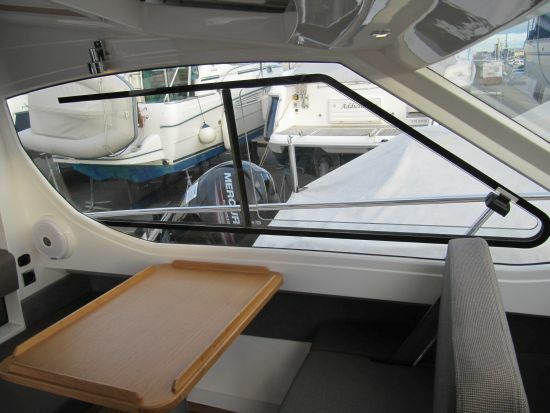 On the helm the boat offers both raised floor driving position offering excellent visibility with sliding roof opening plus seated and enclosed position. 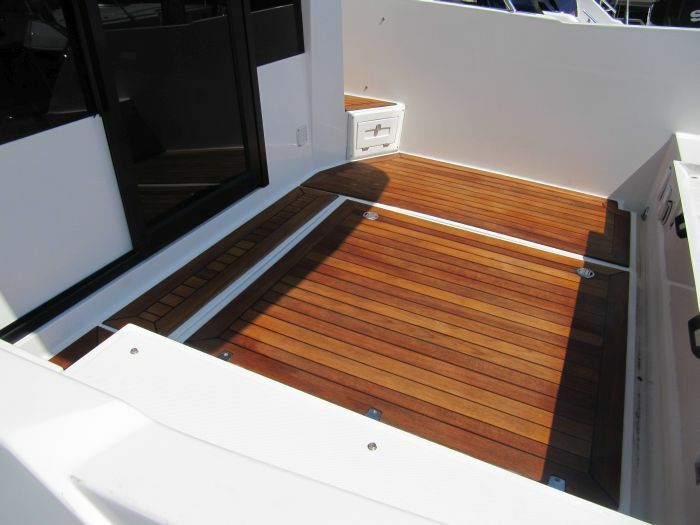 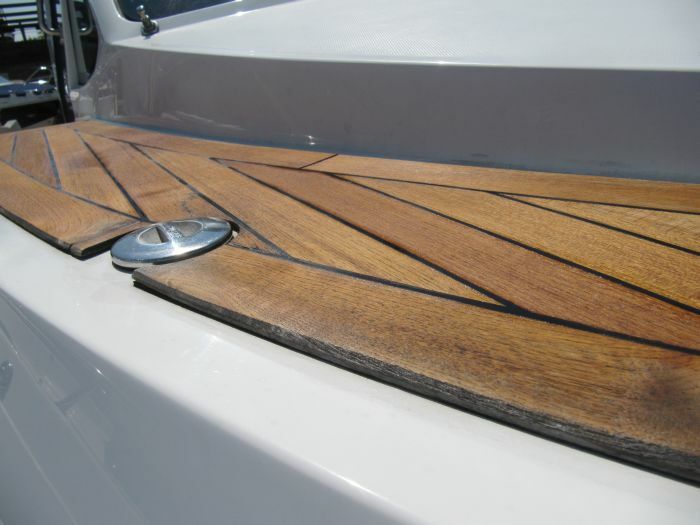 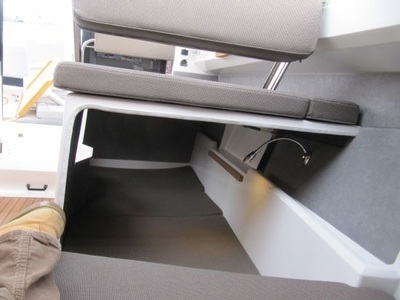 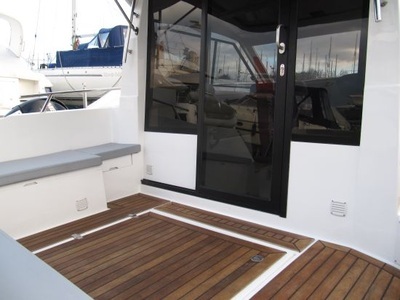 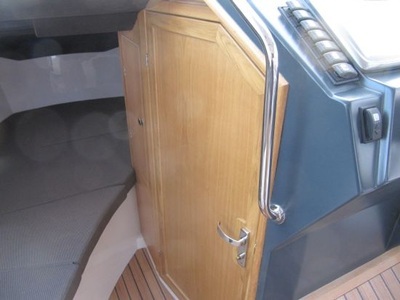 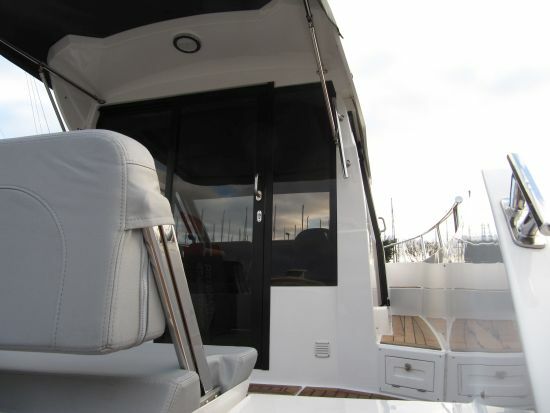 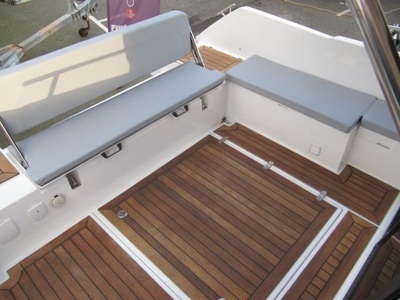 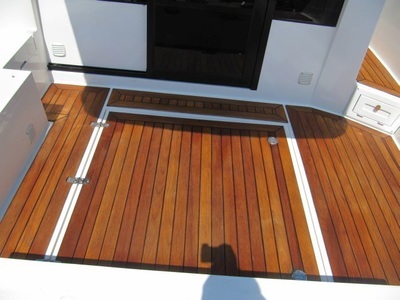 To starboard is a sliding door which gives additional access to the foredeck and aft section. 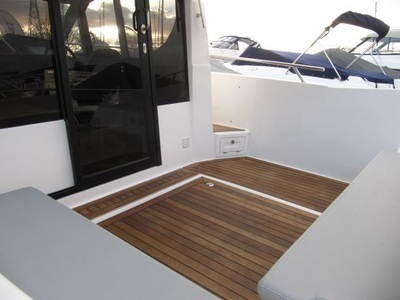 Access to the aft deck is provided via large, sliding glass doors. 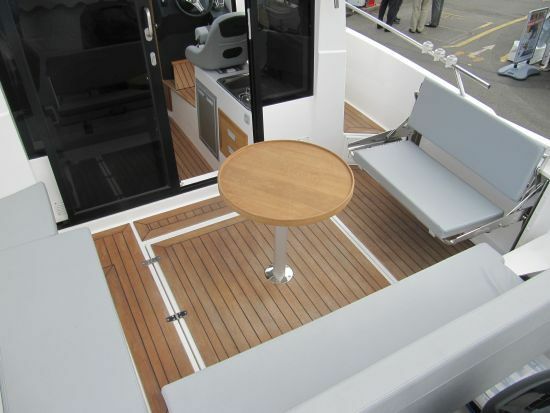 The aft deck features fold away bench seating and dining table that both convert to form a large sun lounger. When not in use each can be folded away to clear the deck to form an excellent fishing platform. 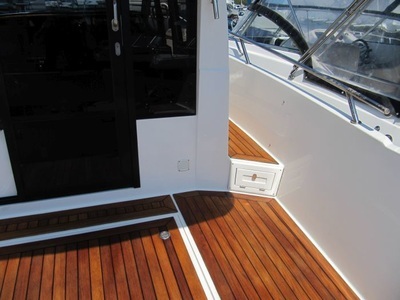 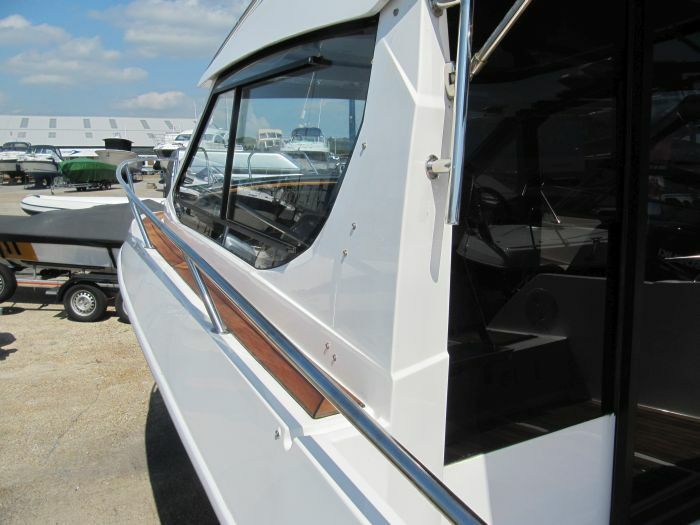 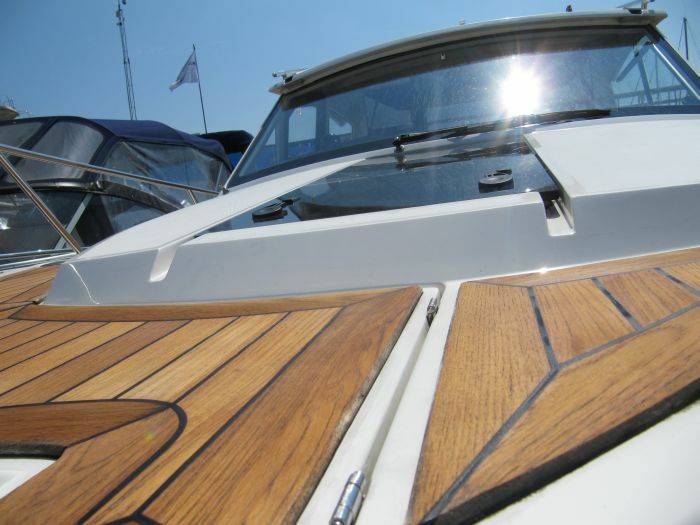 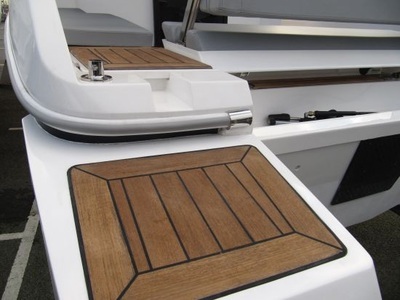 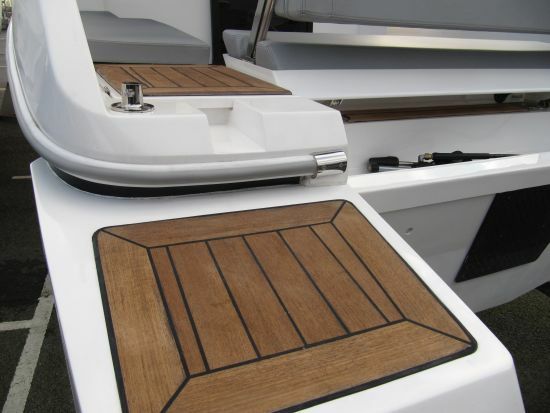 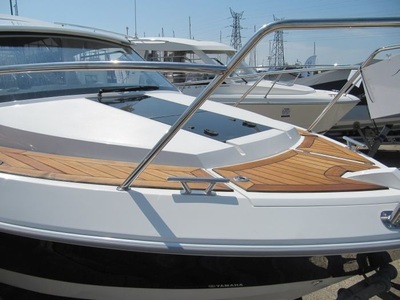 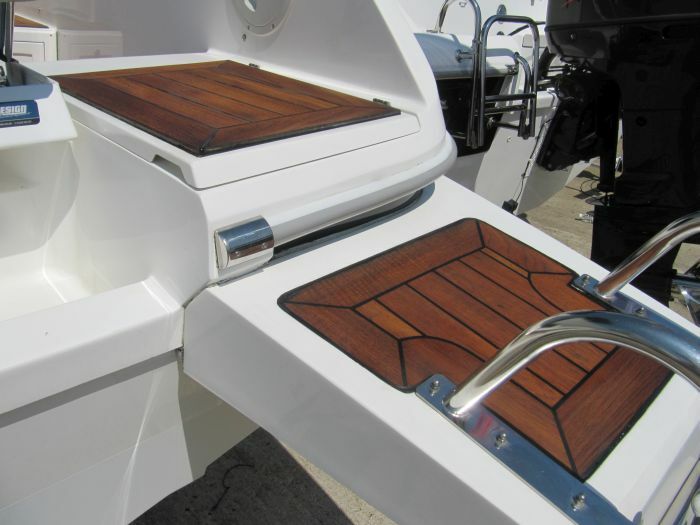 Access to the foredeck is provided by steps either side of the pilothouse. For the fisherman, the boat features recessed rod racks, rod holders, tackle boxes, live-well with raw water wash down. 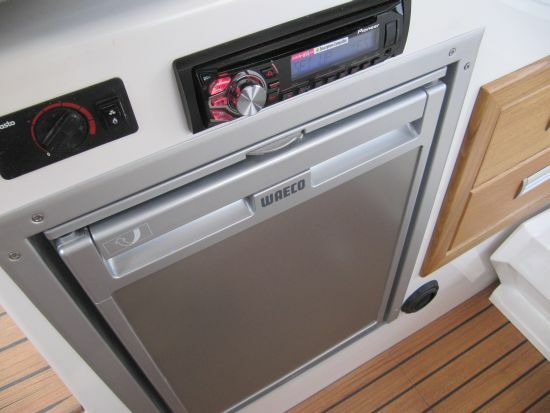 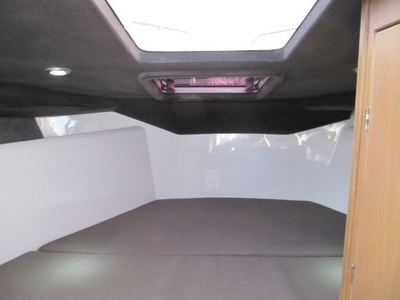 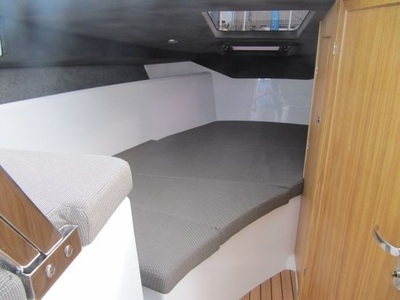 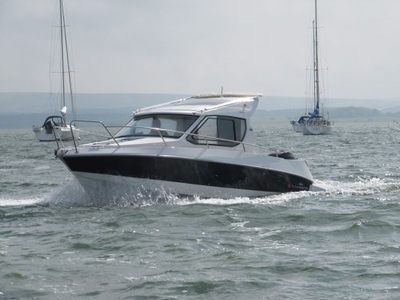 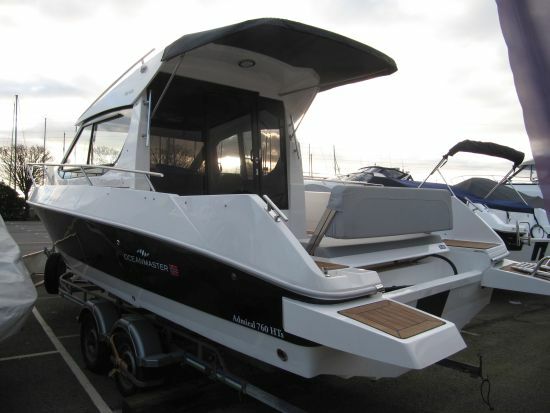 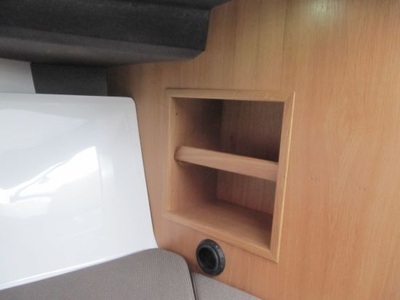 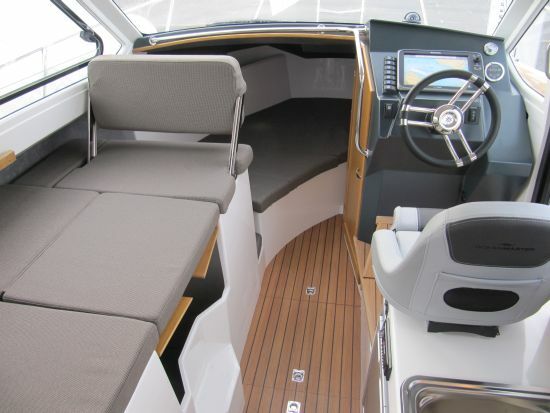 The boat offers an abundance of storage compartments and a very practical layout ensuring ease of use for both fishing, family day cruising, over-nighting and offshore adventures. 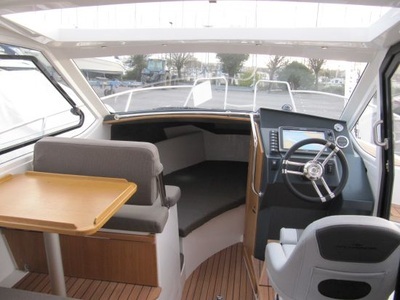 The boat comes with full CE certification and VAT paid status. 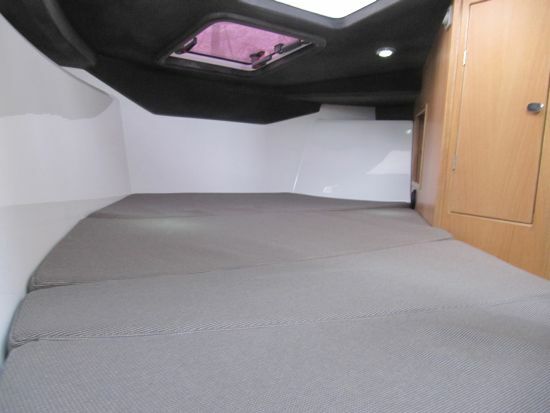 European delivery available, Part Exchange welcome. 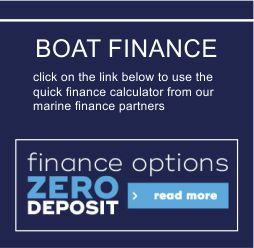 or contact us via the form below. 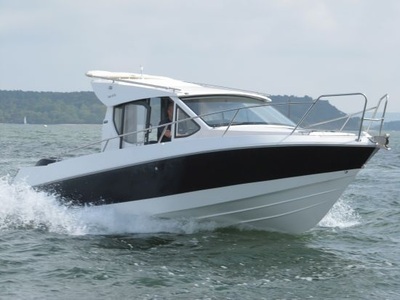 White Shark Powerboats & Regional Dealer for Jeanneau Motorboats. 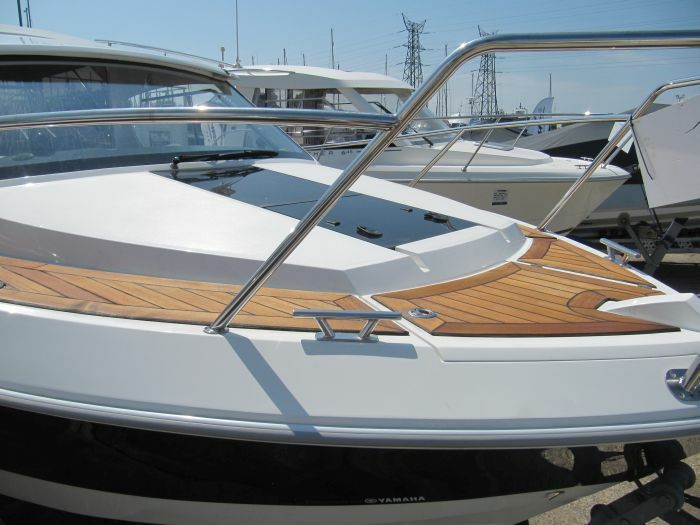 Are You Thinking Of Selling Your Boat ? 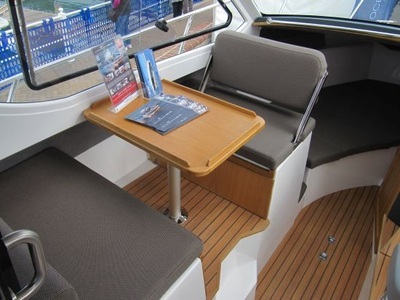 Fine Design Marine Are An Established South Coast Powerboat Dealership Offering Low Cost Brokerage & Storage Within Our Marina Based Sales Display. 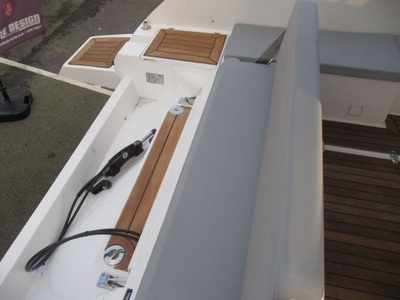 Part exchange proposals very welcome. 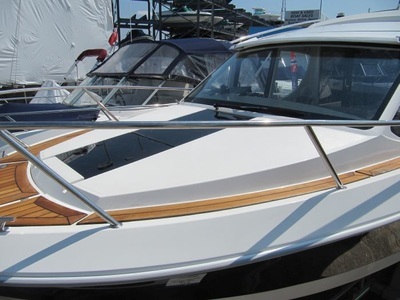 We also purchase boats for stock, any size, age, condition considered. 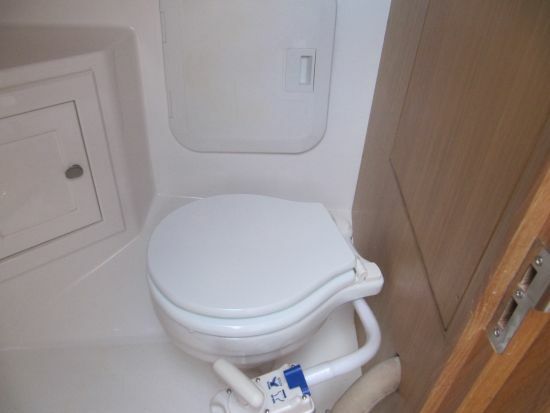 Immediate purchase available.